I used to hate it when bands would have something great going, then without warning cut it off short of the three minute mark. Most songs you would hear on the radio should be at least that long, right? Over time, I’ve learned that quality over quantity is a perfectly acceptable way to go about doing things. And when it comes to great music, it can actually make it that more special when it’s not long and as accessible. It means that that’s exactly the way the artists wanted their finished project to turn out. They didn’t give in to making the song more “marketable”, they chose to take pride in their own work instead. If you’re a fan of nostalgia or quality network television dramas from the 90’s , you’ll likely recognize the “Twin Peaks” tag but I assure you this band shares no further affiliation to the show other than sharing the same name. The music doesn’t sound like something out of that show either, rather, it has a strong west coast garage sound. So you might be surprised to learn Twin Peaks hails from Chicago. 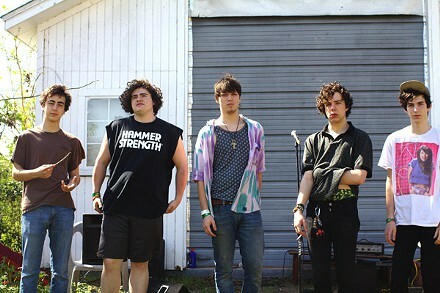 They’re a young group of chums and there track “Stand in the Sand” comes in at a just a mere 2 minutes and 15 seconds. However, that short time is packed with so much indie goodness it’ll be hard to not play it on a loop thus making longer in theory. I stumbled upon this song the other day while driving home from work. It starts out with an overused guitar riff and sounds like a lame teen rock song about mustering up the courage you to ask out the chick you blew your chance with last summer at the big school dance coming up. Just seconds later, it stops sucking. @ 0:17 you’re thinking, “hey, I think we got something here!” Devine has several unique and worthwhile parts to this song. The lyrics appear to describe an event pertaining to some church or religious practice. And if you only listened to the instrumentals, you might not think it would be that a song with a religious message (I certainly didn’t). It flows excellently and displays Devine’s vocal range. While in the past his vocals have played second fiddle to Andy Hull’s in their project Bad Books, they are the highlight of this song. This is especially the case during the song’s climax @ 1:11. Let’s turn back the clock a bit. This was one of the later tracks from Superunknown, which I’ll say is top-10 for albums from the entire 90’s decade. It clocks in at an insanely short 94 seconds! Due to the fast-paced nature of this song, that’s all it needs. Chris Cornell’s vocals are as stellar as they always are. There’s catchy guitar hooks throughout and that’s what drives the song. This is just one of many great tracks from that album. A lot of people know it only for “Black Hole Sun” but it has a lot more to offer aside from that, like this one. Be sure to check out “Kickstand” along with the others from this timelessly great album. It’s time this blog branches out and covers more topics of local interest. Des Moines was fortunate enough to receive its very own arcade bar in the form of Up-Down, located at 500 East Locust Street next to Wooly’s. These are becoming a hit around the nation and are proving to be a breath of fresh air to the gaming industry. With the more traditional, family-oriented arcades declining in number recently, places like this prove that there is still interest in arcade gaming, especially for old school games such as Galaga, Tron, and Donkey Kong Jr. among countless other classics. 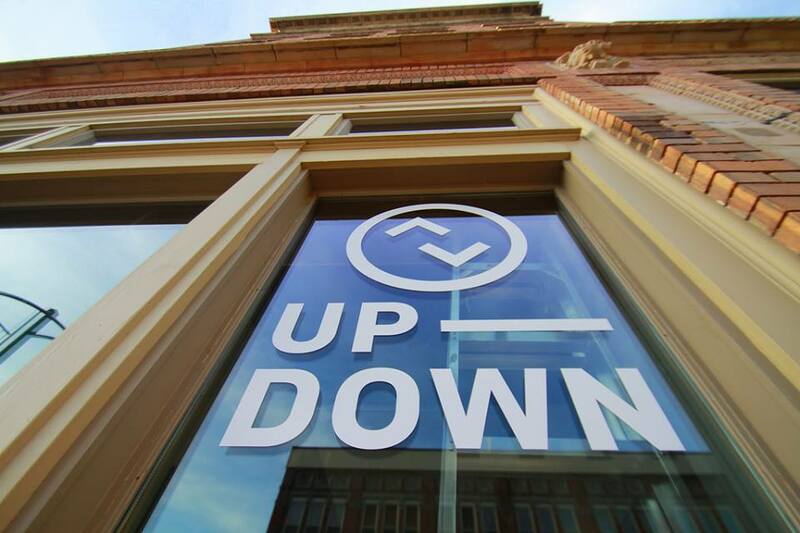 Up-Down takes that and combines it with a thriving industry in craft brewing. 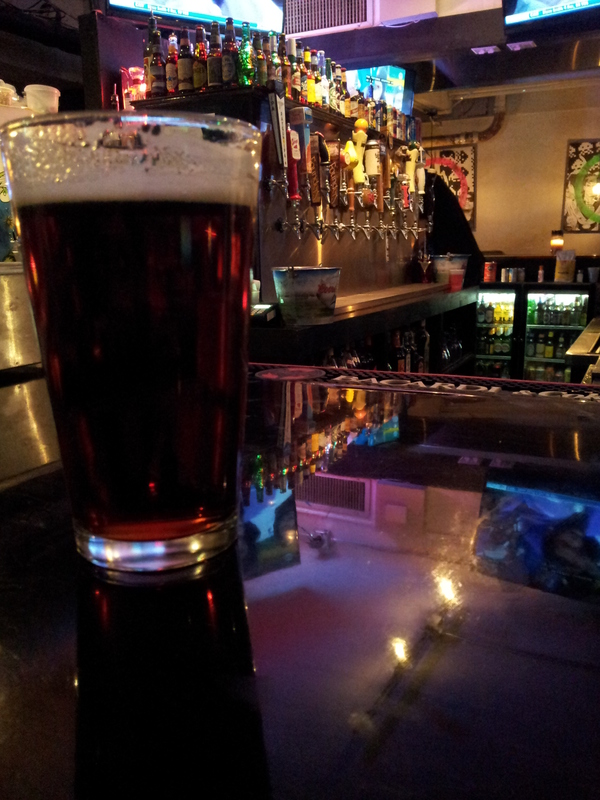 While there are other bars in the DSM area that have a greater amount of overall selections on tap. The quality of tap offerings at Up-Down is nothing short of spectacular. They’ve carried several brews that I have not stumbled upon anywhere else besides El Bait Shop (which has arguably the best tap selection in the entire Midwest). It was tough to contain my excitement when I saw they had choices like Deschutes Black Butte Porter, Founders All-Day IPA & Breakfast Stout, and Stone Enjoy by IPA all on the first visit! If you’re not a craft brew junkie like me, they have many other drink choices including several unique cocktails like DK’s Rootbeer Barrel. Up-Down’s immaculate wall of taps and bar is able to serve up many great drinks like this pint of holiday cheer by Shiner Brewing Co. 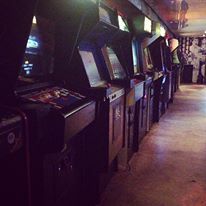 If the vintage arcade games weren’t enough to tip you off, the decor and atmosphere inside gives off a heavy 80’s/90’s nostalgic vibe which is most definitely a good thing. No one can deny the greatness that was the 90’s decade…NO ONE! They even show old episodes of the original American Gladiators on the TV’s. That’s right, you get to see classic bouts of the joust and atlasphere along with the classic commentary provided by Mike Adamle and Todd Christensen. It’s not that trash NBC ran with Hulk Hogan and Laila Ali a few years back. They’ll play a good mix of 90’s music and today’s alternative/indie hits. My only suggestion to the establishment would be for them to include a night of the week where they play all 80’s music, predominately new wave that was considered the alternative rock of its time. I think it would be neat. That said, whoever is in charge of the music is doing a great job. It’s a great change of pace from the unimaginative, MTV-influenced playlists you hear in most clubs. Here’s one classic indie hit I heard last time I was there, a delightfully trendy hit by Neon Indian called “Polish Girl”. It captures the mood of the place perfectly. In the end, the biggest allure of this place is the games. There’s all the classics and they rotate their stock of games in and out. In addition to arcade games, they have other activities that encourage more social interaction (pfft…who needs that?) such as Jenga and Skee-Ball. Another feature this place has is the diverse crowd. While that is probably considered typical of an establishment in the east village, you’d possibly be inclined to think the bar’s clientele would be mostly younger peeps but instead people of all ages and backgrounds frequent Up-Down. One final thing Up-Down has for its patrons is a multi-cade that can play super nintendo, NES (or regualr nintendo as many of us used to refer to it), and sega genesis games. Don’t over-think it, if you like all or some combination of the following: video games, good brews, good music, outrageously over-sized ConnectFour set-ups, friendly faces, nostalgic 90’s awesomeness, bars that require downward ingress, Mortal Kombat, tallboys of Coors Original, Richard Dean Anderson decorated wallpaper, 6-player X-Men epicness; you’ll love Up-Down. Drop any ill-conceived notions that you’re too cool for arcades and visit this place now! Trust me, my perceived level of coolness is still well intact.